Caris Lockwood was shopping with relatives when one noticed a woman in labor. A nurse's Target trip took an unexpected turn after she found herself delivering a fellow shopper's baby. Caris Lockwood, 24, of Atlanta was shopping with family members at the discount store on Aug. 25 when her mother noticed a woman in labor, Tanya Saint Preux Picault, 30. Lockwood, a labor and delivery nurse at Piedmont Healthcare, sprang into action. "I really wasn't nervous," she told ABC News. "It was certainly an incredible experience, and [I] truly believe it was one of those moments where God placed the right people in the right place at the right time. I'm grateful that I was there and able to help bring Tanya's baby into the world." 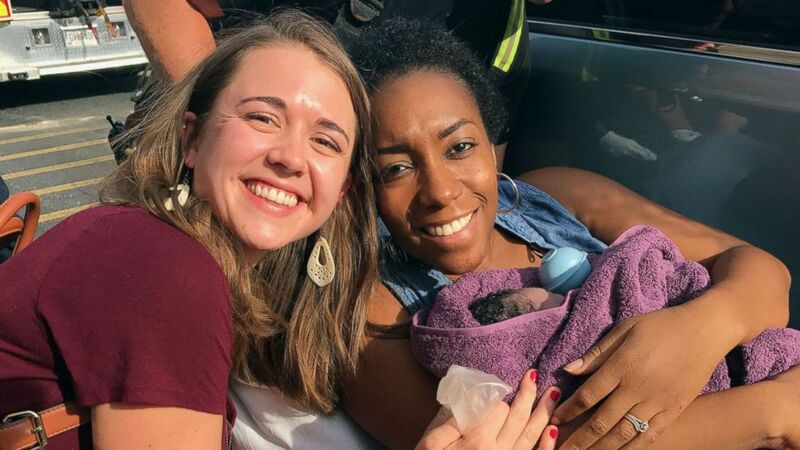 (Tanya Saint Preux Picault ) Caris Lockwood, 24, a labor nad delivery nurse from Atlanta, Georgia, delivered Tanya Saint Preux Picault's baby boy on Aug. 25, 2017, outside the entrance of a Target store near the Mall of Georgia in Buford, Georgia. Picault said she began feeling contractions after leaving a restroom. Soon after that, Lockwood's mother approached her. "She came back and said, 'Can I just have my daughter, who's a labor and delivery nurse, come and look at you?'" Picault recalled. 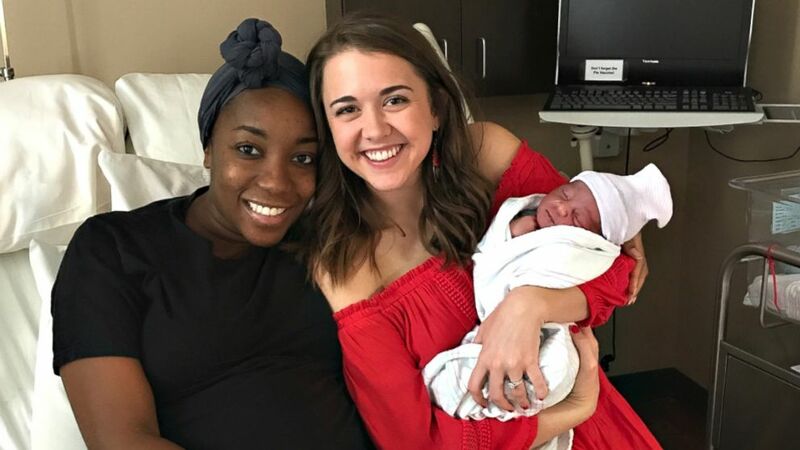 (Tanya Saint Preux Picault) Caris Lockwood, 24, a labor nad delivery nurse from Atlanta, Georgia, delivered the baby boy of Tanya Saint Preux Picault on Aug. 25 outside the entrance of a Target store near the Mall of Georgia in Buford, Georgia. Twenty minutes later, outside the entrance of the store, Picault gave birth to her fourth child, a boy named Maleek, weighing 7 pounds, 10 ounces. "We commend the nurses and medical staff as well as the Target team members who jumped in to help a woman who delivered a baby in a Target store in Georgia," a spokesperson for Target told ABC News. "We're happy to hear that the mother and baby are doing well and wish them all the best." 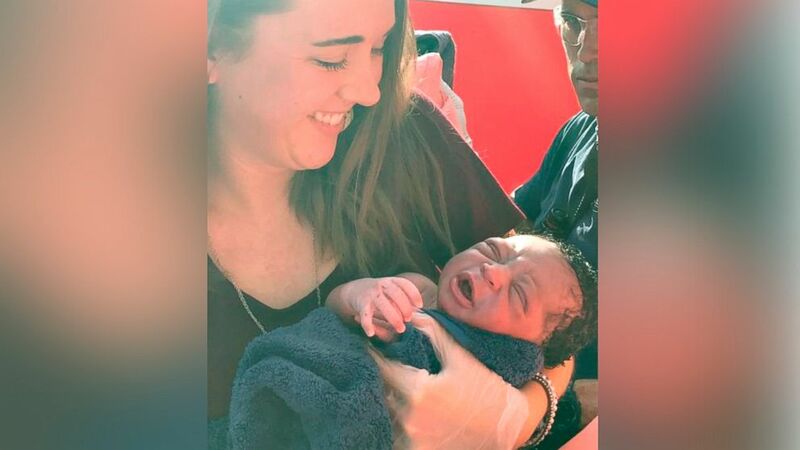 (Tanya Saint Preux Picault) Caris Lockwood, 24, a labor nad delivery nurse from Atlanta, Georgia, delivered Tanya Saint Preux Picault's baby boy on Aug. 25, 2017, outside the entrance of a Target store near the Mall of Georgia in Buford, Georgia. Picault and Lockwood said they've kept in touch since the birth. "God had her there for me that day," Picault said. "She did such a great job. It was on the news, and I recorded it so I can show [Maleek] as he gets older."